This product is designed for detecting and control computer system or automated control system to transmit weak analogue and digital signals at rated voltage of 300/500V and below in power plant,mine,metallurgical industry, petrochemistry and etc. It features higher immunities to static electricity and electromagnetic interference. For armoured computer cable, add “22” after the model number, eg, DJYVP-22. 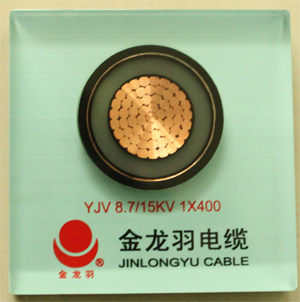 For flam retardant computer cable, add “ZA(ZB、ZC)”before the model number,eg, ZA-DJYVP. For fire-resisting computer cable, add “N” before the model number,eg, N-DJYVP. The product according to the National standared TICW/06-2009 and Chinese national standard GB/T 19666-2005. High-presure polyethylene with low dielectric constant is adopted as insulating compound, and pair twisting, pair screening(pair shield),collective screening(collective shield)structure and the same like are adopted; as a result, this product features superior properties such as low dielectric loss, excellent signal transmitting capability, anti-interference property and etc.